Using the company’s shared purpose to connect and excite 24,000 employees. 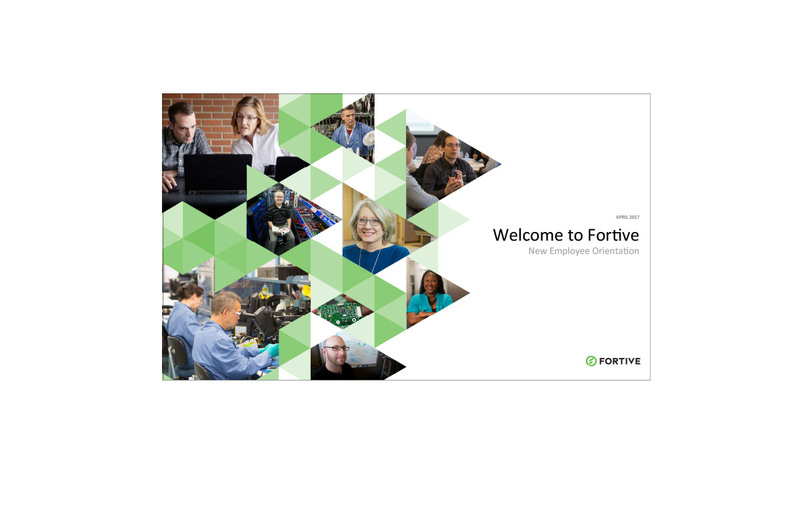 Fortive is a Fortune 500 industrial holding company committed to providing their customers with essential technology. 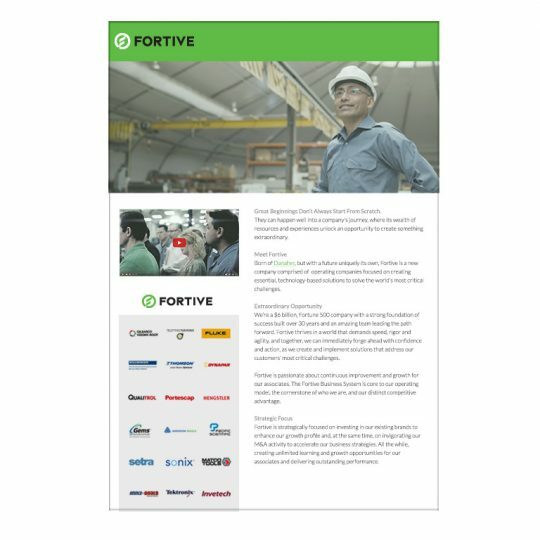 Comprised of more than 20 operating companies and focused on creating and delivering professional instrumentation and industrial technologies, Fortive has a diverse team of 24,000 employees worldwide. In 2015 Danaher Corporation made a decision to create a new publicly traded holding company called Fortive, which would require more than 20 operating companies owned and operated by Danaher to now be owned and operated by Fortive. 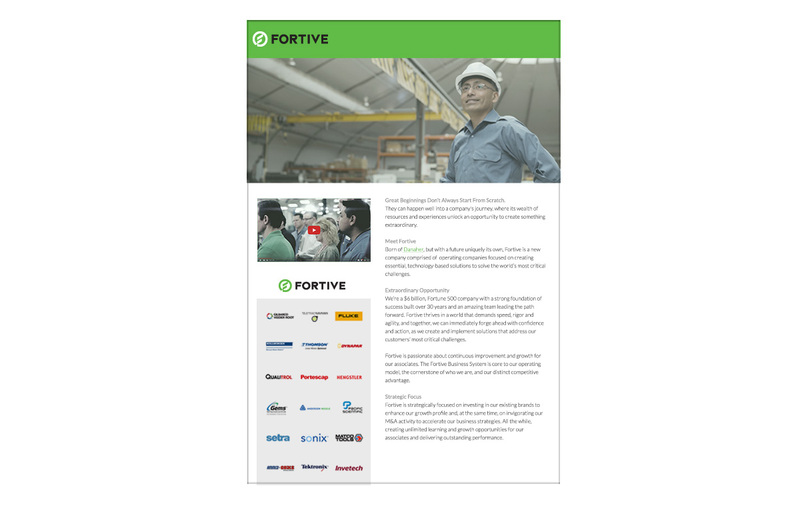 Our initial assignment was to help Danaher introduce Fortive, Fortive’s leadership team, the initial new company branding (logo/lockup) along with Fortive’s purpose statement to the 80,000 employees of Danaher; with a special focus on targeting the operating companies that would soon only be owned and operated by Fortive. Created the first Fortive Employer Brand, inclusive of a style guide, tone/positioning guide, and an employer brand narrative to act as the foundation of the new Fortive brand story. 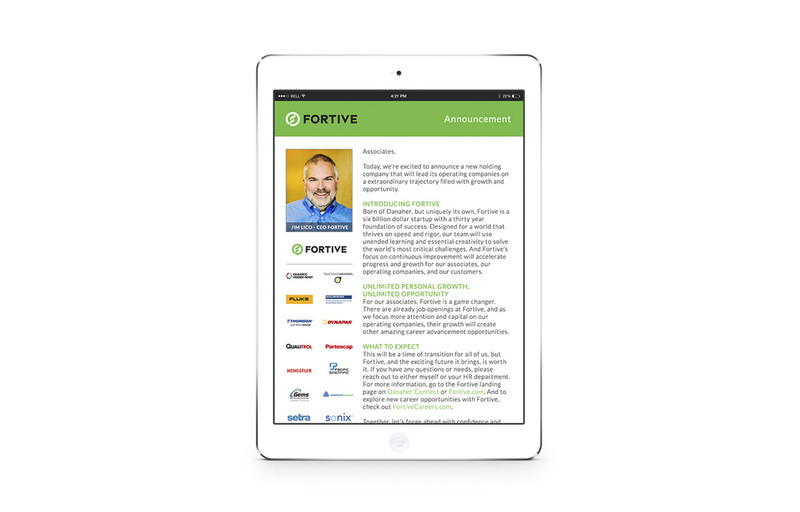 Wrote and designed leadership email from Jim Lico, the CEO of Fortive, to all employees. Designed a Fortive section on Danaher’s Intranet with supportive banner ad units to drive traffic to the Fortive Intranet section. 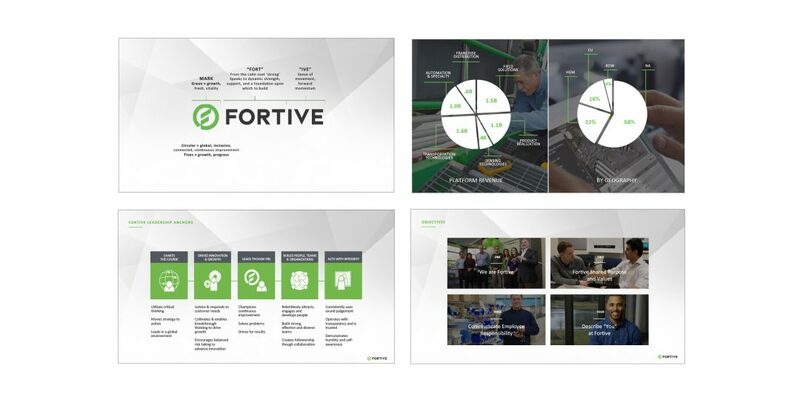 The Intranet content included an inside look at how the name Fortive came about, a simple deconstruction of the purpose statement, and an explanation of how the Fortive logo/lockup helps to convey the context of the new company name and purpose. 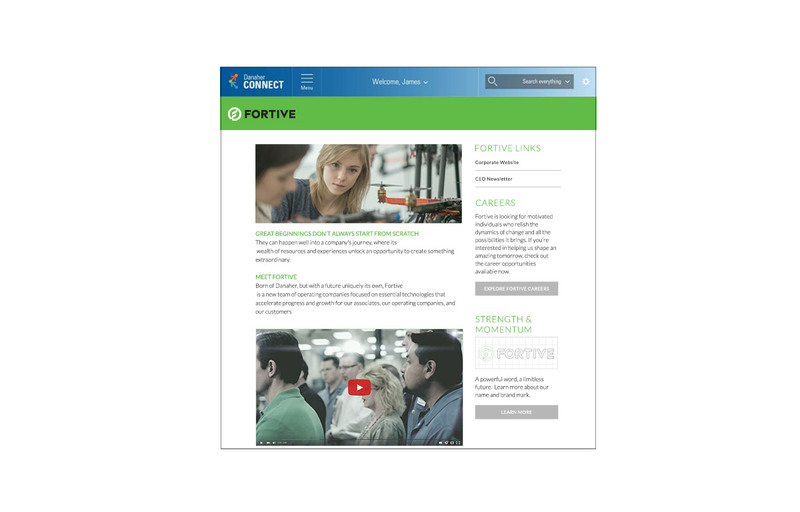 Developed a landing page and content to act as the temporary external website for Fortive. Created an engaging, narrated sizzle video to help tell the new Fortive brand story. All of the above translated and localized to support the many countries and languages that make up the 80,000 employees worldwide. On July 16, 2017, Fortive’s leadership rang the bell at the NYSE (New York City Stock Exchange) signaling to the world that Fortive was now a public company. Launch Event: We helped Fortive plan for and launch a worldwide event in July 2016 to celebrate the company’s official launch. The event was held at the company’s HQ in Everett, Washington with many other local events coordinated at offices across the US and all countries where Fortive operates outside the US. 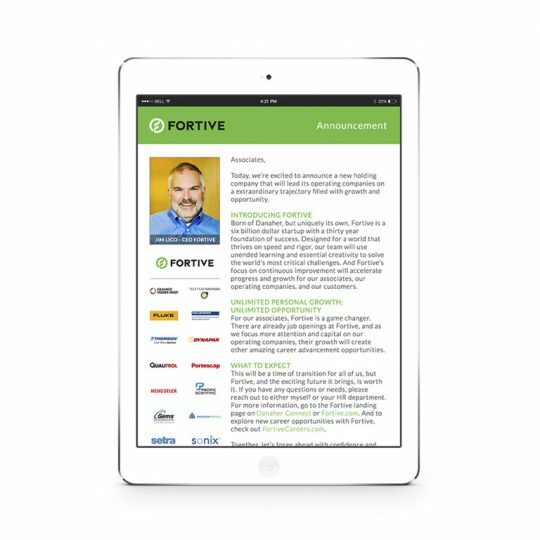 The CEO and other leader’s presentations were broadcast across all offices throughout the world, which you could either watch live or on-demand via a video on Fortive’s new Intranet. 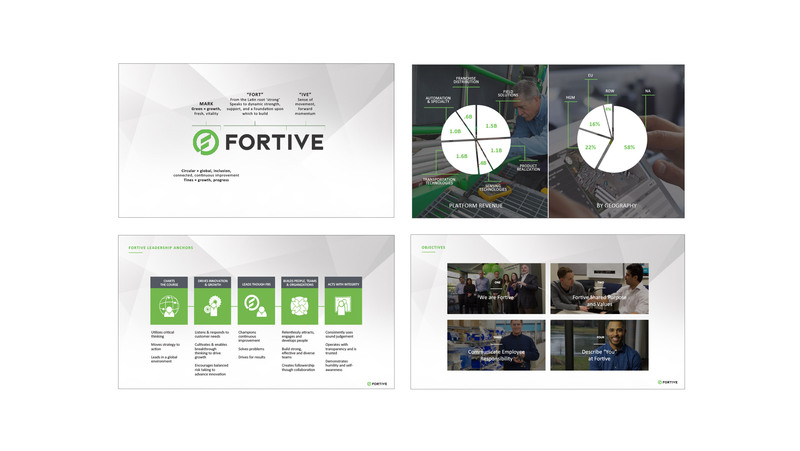 CEO Presentation: We worked closely with Fortive’s CEO to create his presentation for the launch event, including the presentation outline, content development, design, speaker notes, and rehearsals. Sizzle Video: As part of the CEO’s presentation we created a new sizzle video comprised of brand and stock imagery, and narrated by the CEO. The video’s purpose was to demonstrate the company’s purpose coming to life and called for all leaders and employees to begin to learn Fortive’s story and help share the story over the years. 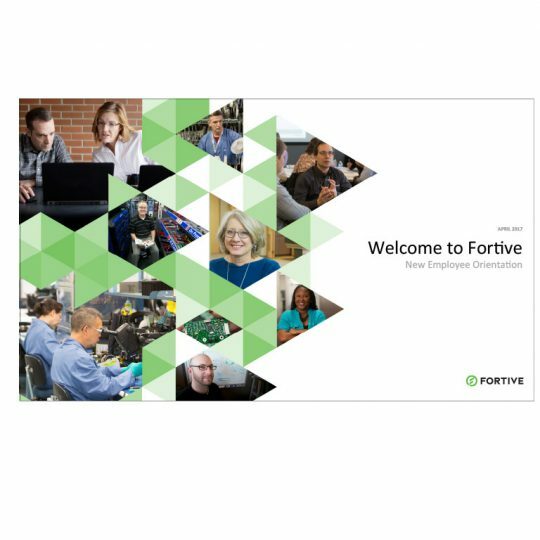 Culture Graphic: We created a new graphic for Fortive to use that brings the company’s purpose, values and metrics together to tell a visual story helping to communicate the company’s culture. Fortive was born in 2016, a multi-billion dollar startup aimed at continuing to make a name for itself and its businesses in its respective industries. Our work in 2015 and 2016 helped launch and establish awareness of Fortive, its shared purpose and core values. 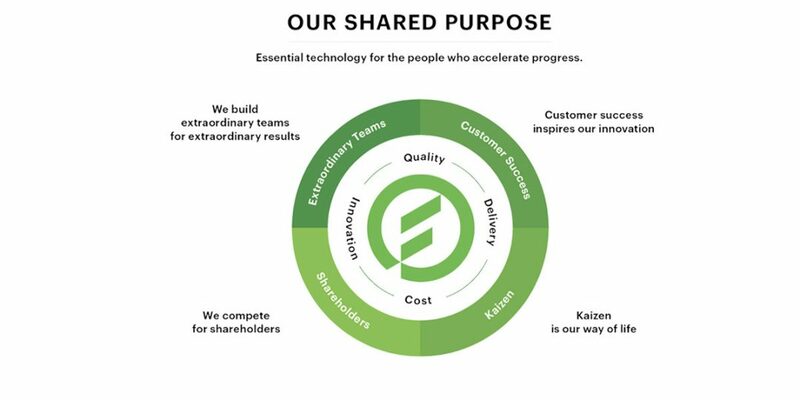 Our work in 2017 will be focused on helping global employees connect with the company’s shared purpose and values, internalize purpose driven stories and tell new stories about how Fortive’s purpose and values have lead individuals, teams, and companies to successful outcomes. 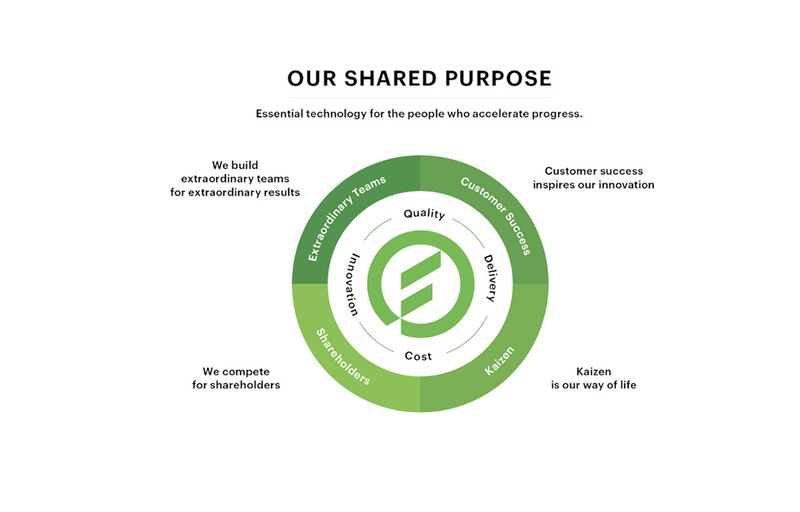 Want to learn more about how we activated 24,000 employees around Fortive’s shared purpose? Reach out and let’s discuss.